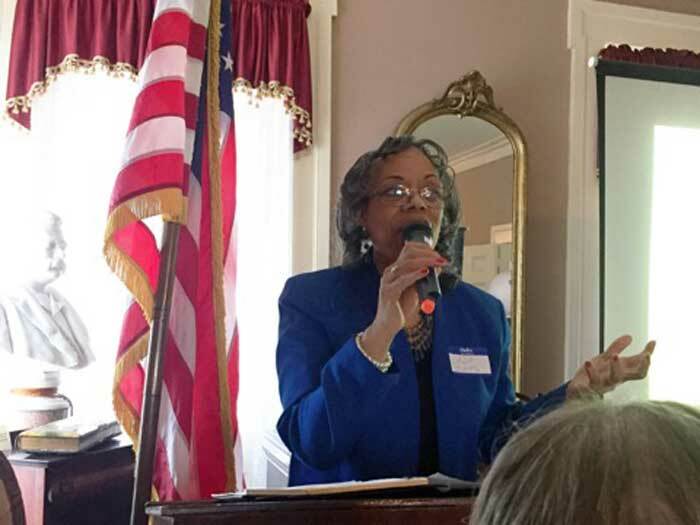 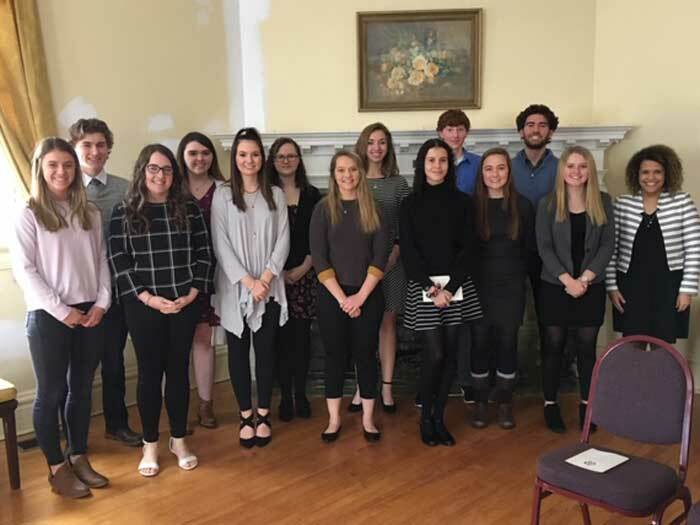 Linda Jones, Vice President of the Annie Malone Historical Society, delivered a talk to the chapter on: “Annie Malone and Her Legacy”. 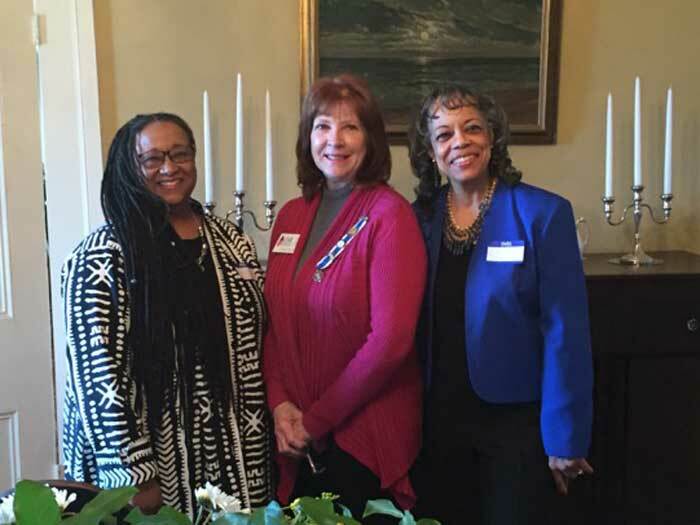 Regent Cindi Horrie, is pictured with the historical society’s President Linda Nance and Vice President Linda Jones. 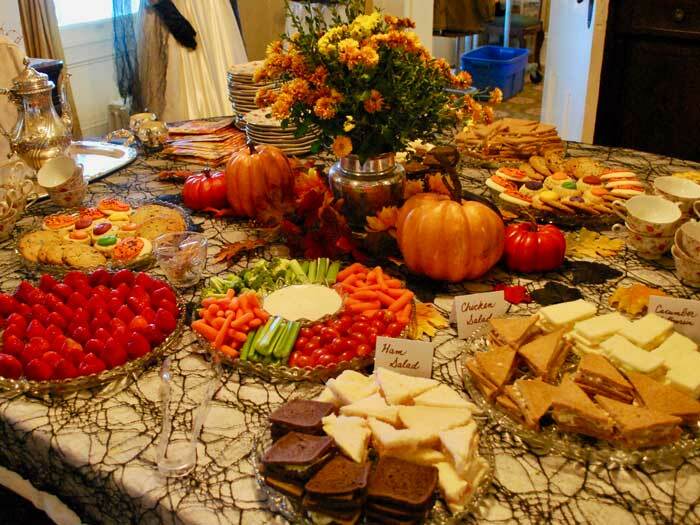 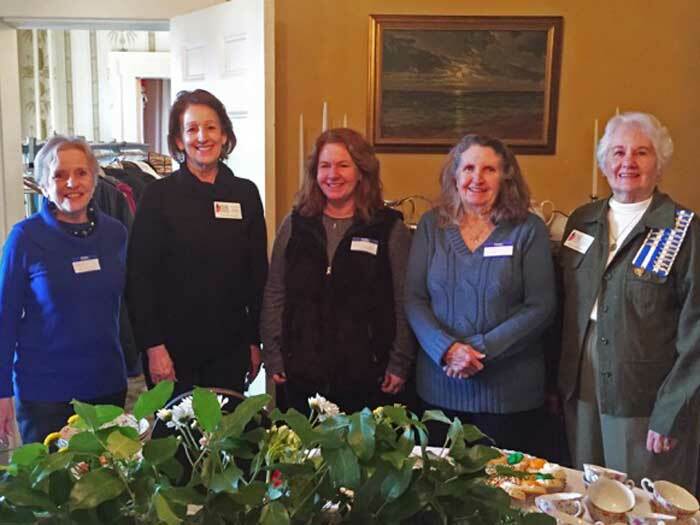 Tea hostesses, Cheryl Hopwood, Carol Fravala, chairman Molly Bishop, Myrna Schwarz, and Susie Pierce prepared a lovely luncheon for the guests. 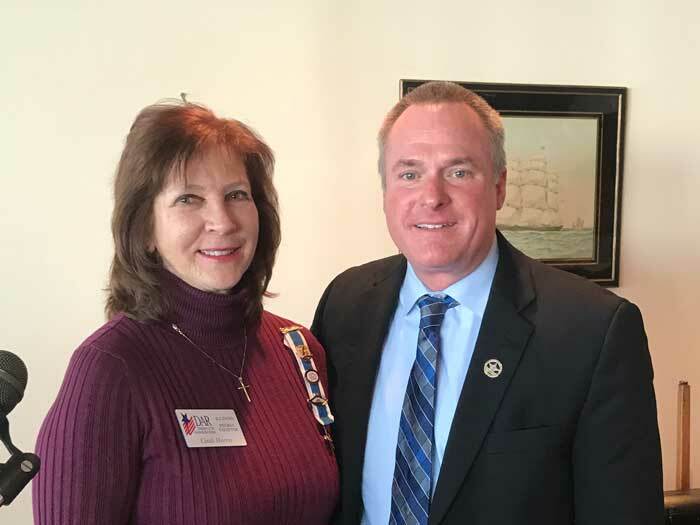 The guest speaker for Peoria Chapter’s 2019 DAR Good Citizens Awards Program and Tea was Ryan Spain, Illinois State Representative for the 73rd District. 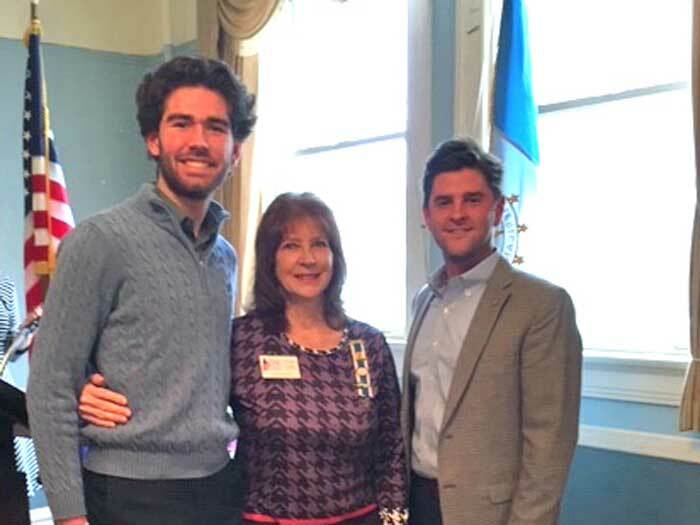 Regent Cynthia Horrie is pictured with the chapter’s Good Citizen scholarship winner, Hunter Mettille, and Representative Ryan Spain. 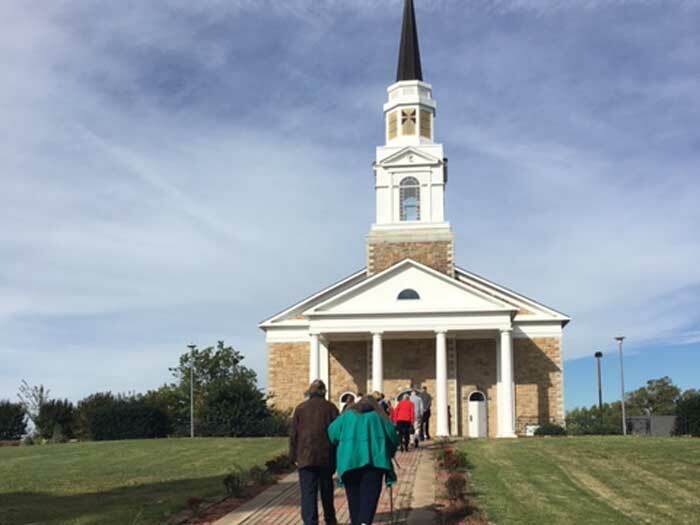 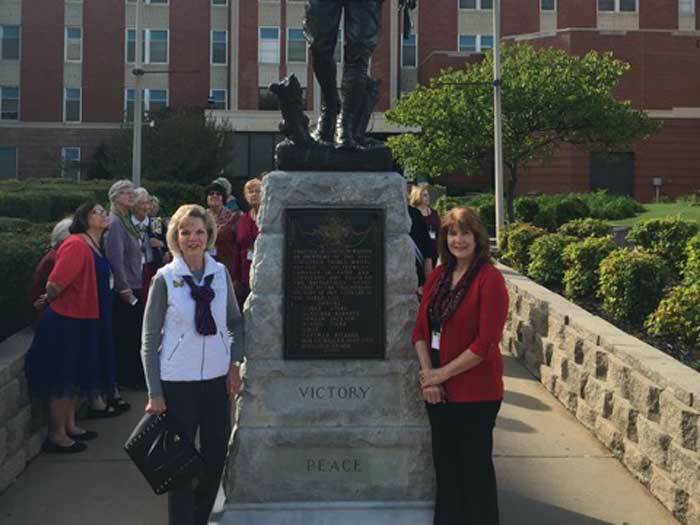 In October, Chapter Regent, Cynthia Horrie, and Honorary Regent Karen Frels were part of State Regent Gloria Fathom’s group which toured Bacone College. 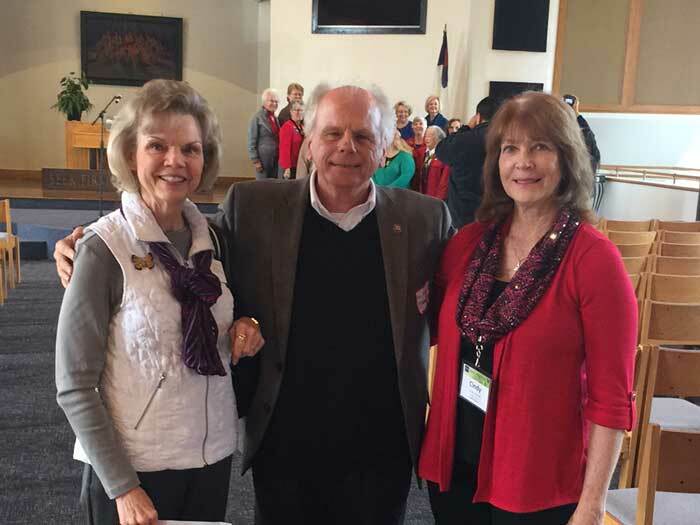 DAR ladies attended a service at Bacon’s Memorial Chapter where Dr. Thompson, Interim Vice President of Academic Affairs, visited with Regent Cynthia Horrie and Honorary Regent Karen Frels. 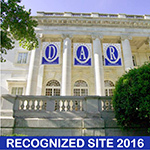 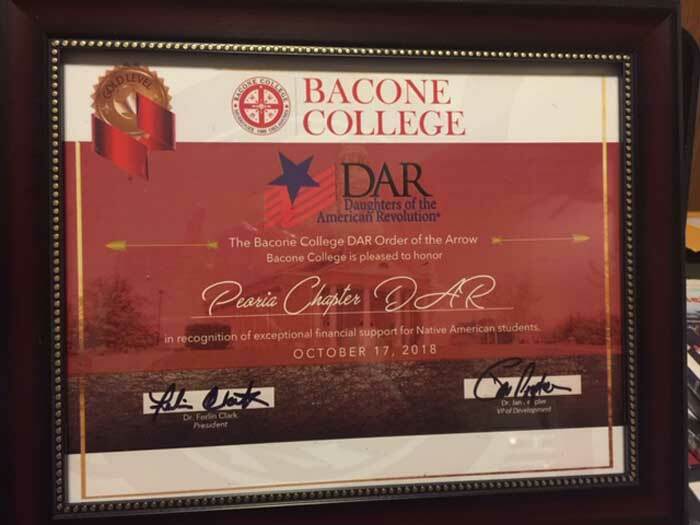 A celebratory dinner was held in honor of DAR’s visit to the college. 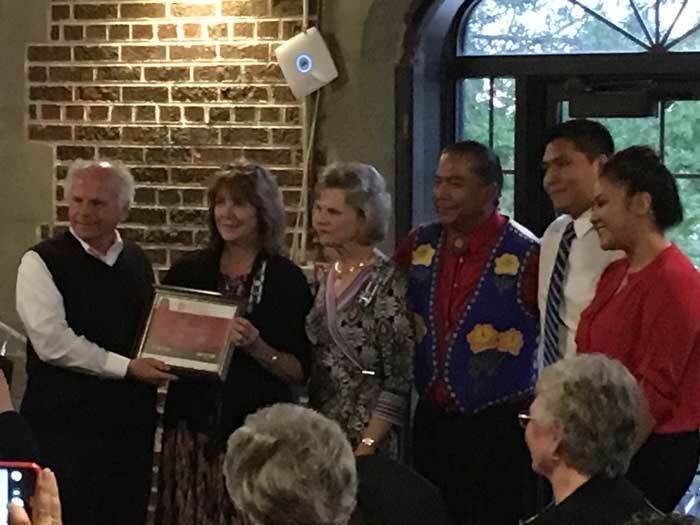 During the dinner, the Peoria Chapter was presented with a plaque in appreciation for the scholarships which they provided to Bacone College students. 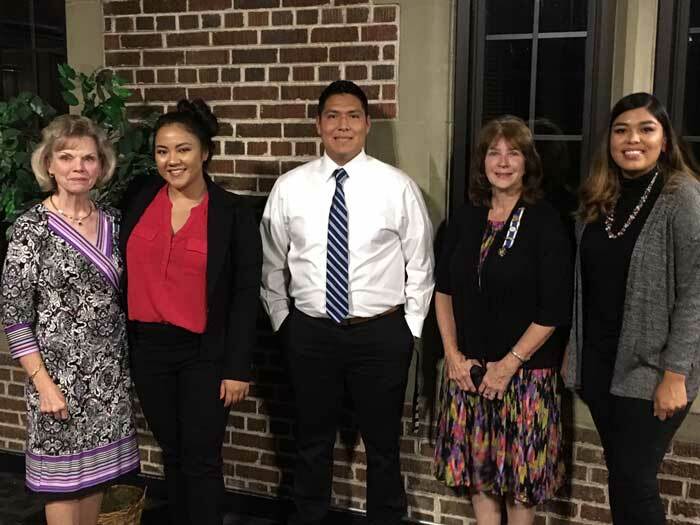 Bacone College students are pictured with Peoria Chapter representatives. 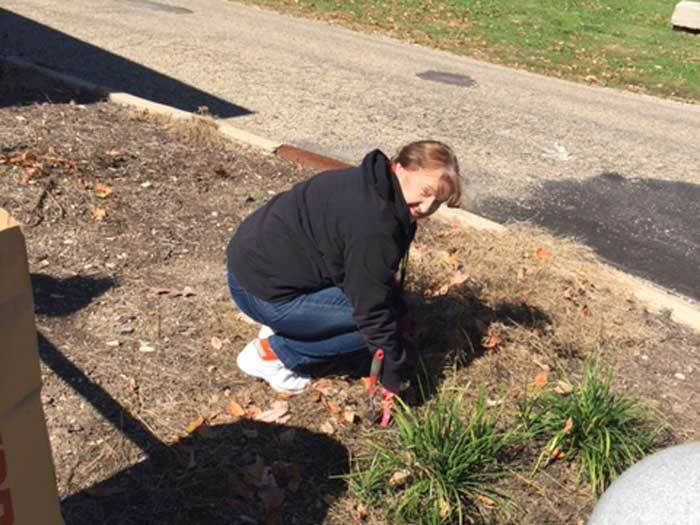 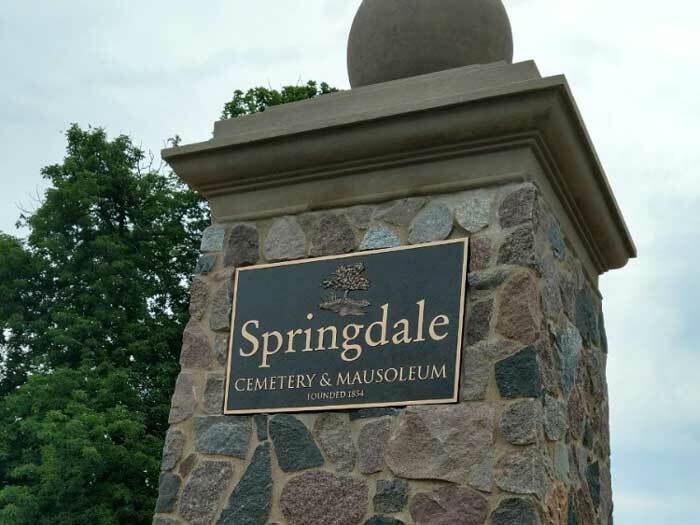 For the 2018 Day of Service, members of Peoria Chapter NSDAR spent the afternoon at Springdale Cemetery pulling weeds, trimming shrubs, and cleaning up trash. 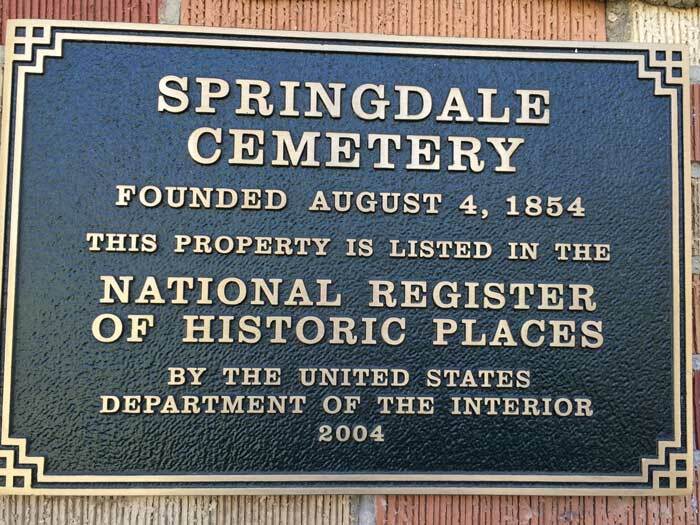 Springdale Cemetery is the oldest and largest chartered cemetery in the state of Illinois. 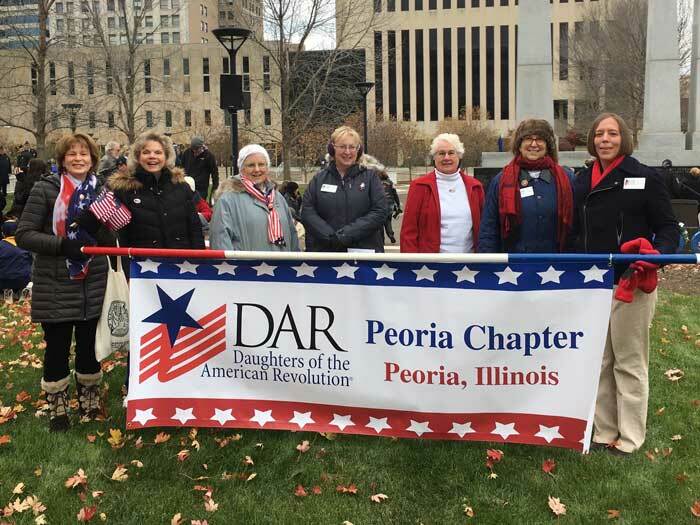 The Peoria Chapter participates in the cemetery’s Memorial and Veterans’ Day program. 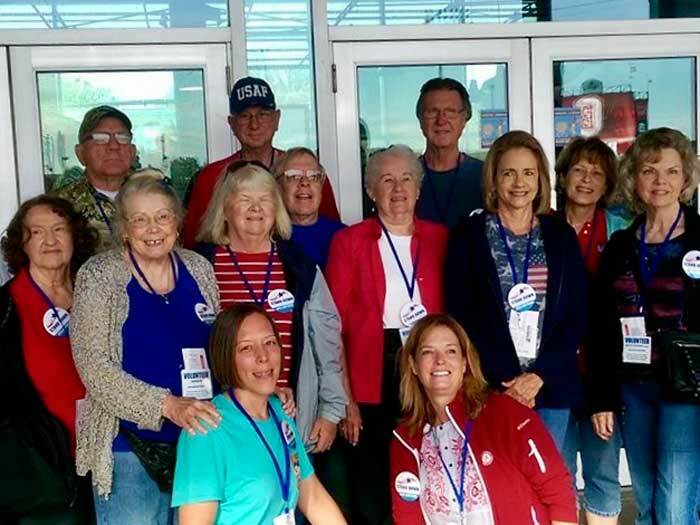 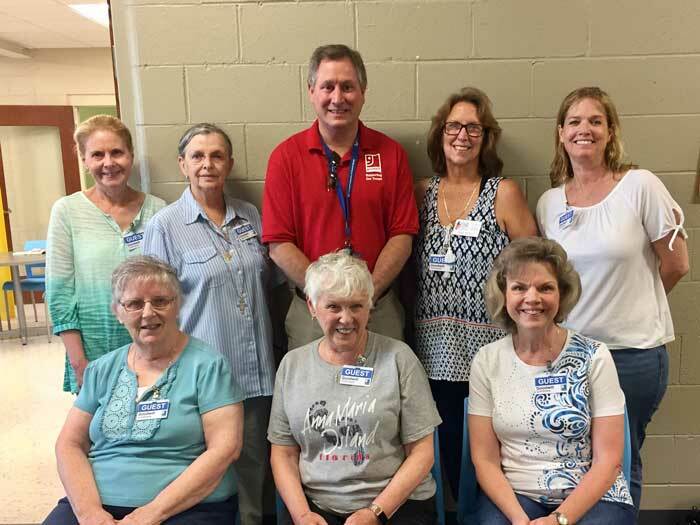 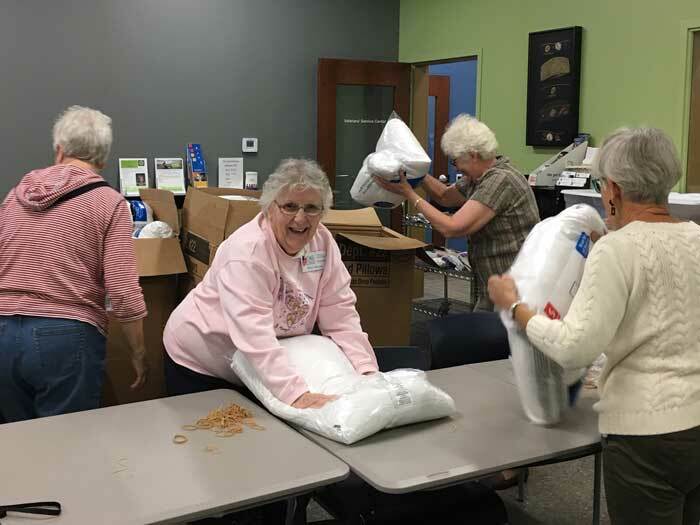 Chapter members volunteer their time each year helping Goodwill prepare for the annual Stand Down for Veterans. 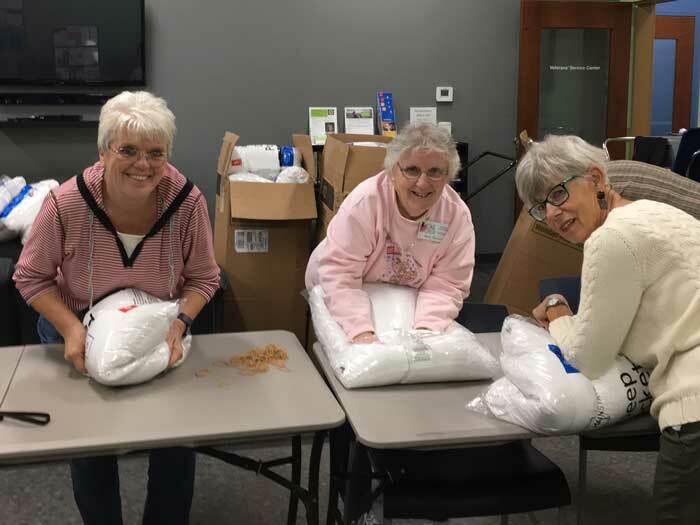 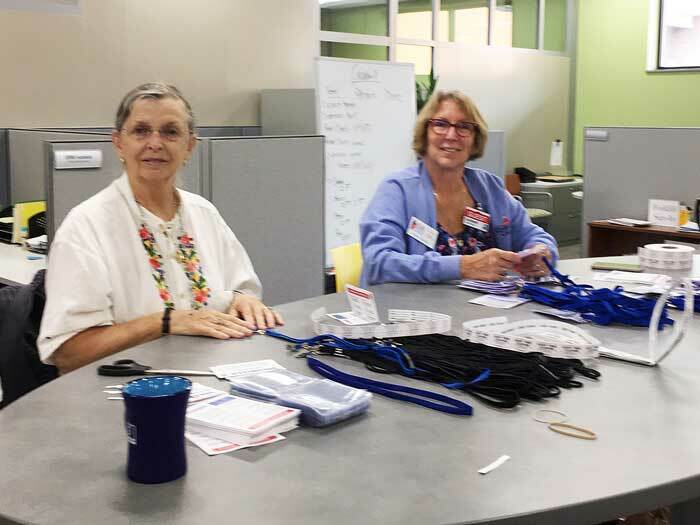 P.J and Paula prepare lanyards for the veterans, while Debbie, Mary, Sue, and Myrna package pillows. 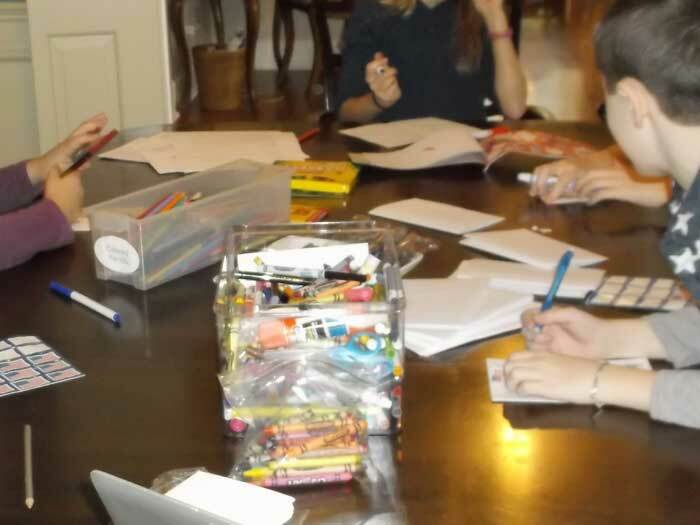 Karen and Alice stuff envelopes with cards made by local grade school children. 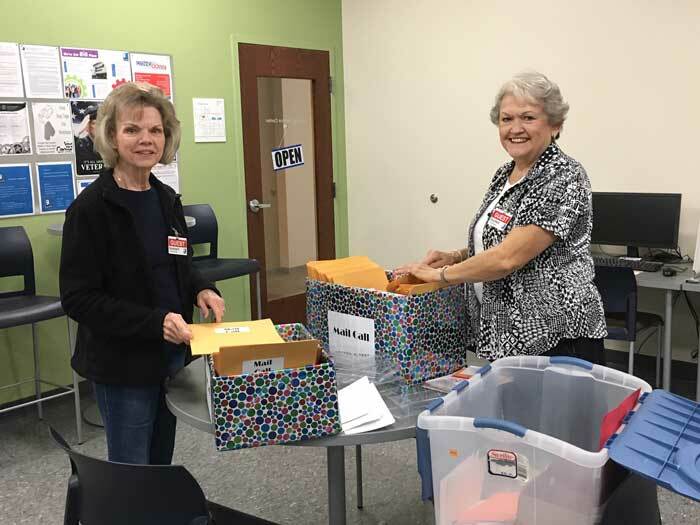 The envelopes will given to veterans returning home on the honor flight. 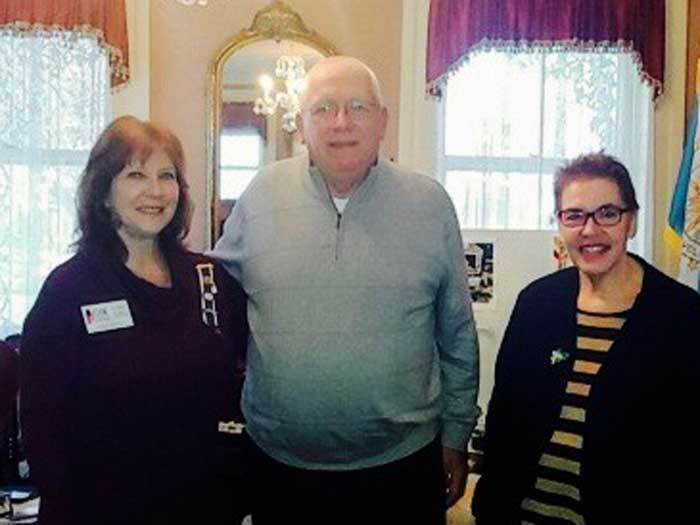 Regent Cynthia Horrie is pictured with November speakers, Debbie Gaught and Sherwood “Woody” Dees from the Illinois Valley Fuller Center for Housing of Veterans. 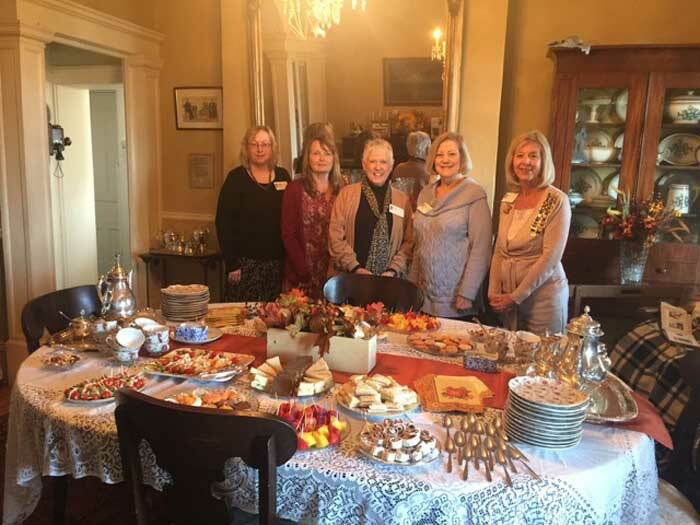 The November tea committee ladies are pictured with the beautiful table of delicious food they provided for the luncheon. 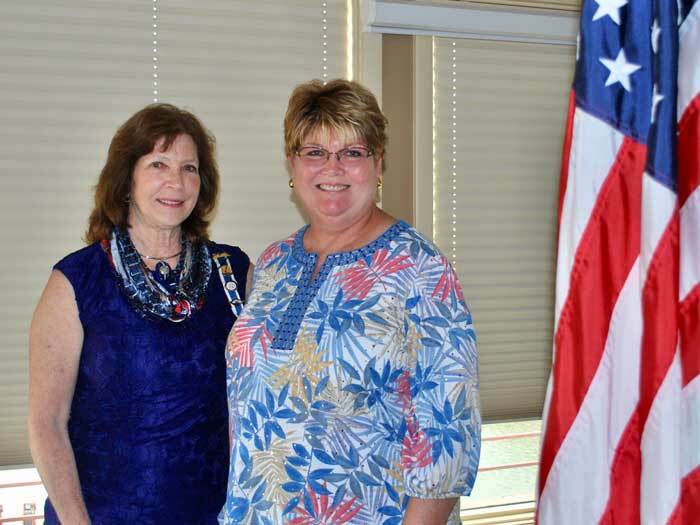 Regent Cynthia Horrie is pictured with guest speaker, Bartonville Police Chief Brian Fennel, who spoke on “Citizens & Safety Issues”. 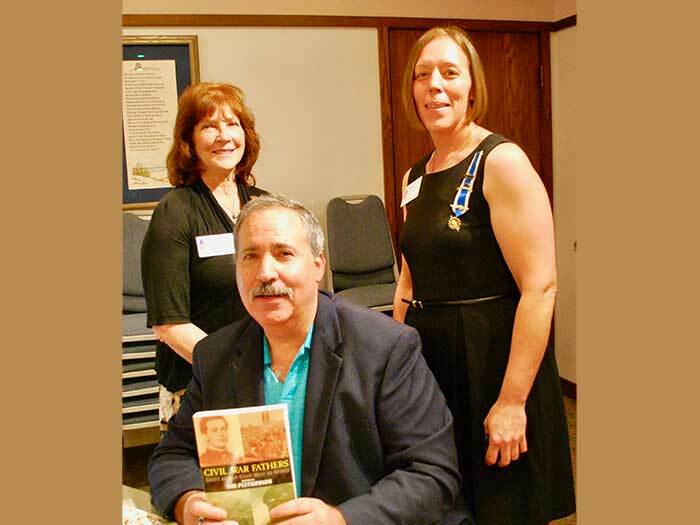 Guest speaker and author of the book “Civil War Fathers”, Tim Pletkovich, spoke about the documentaries he recorded from decedents of Civil War soldiers while researching his book. 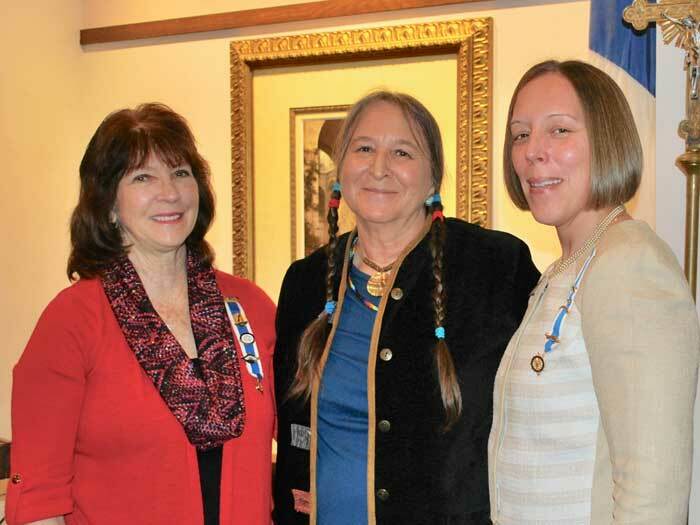 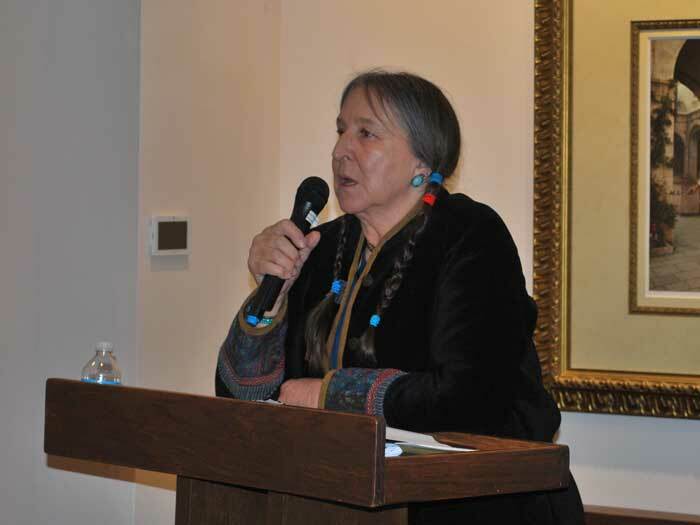 Regent Cynthia Horrie and First Vice Regent, Denise Scislowicz, host Dorothy Lakota who spoke on her Indian heritage and the time she has spent teaching and mentoring native American students. 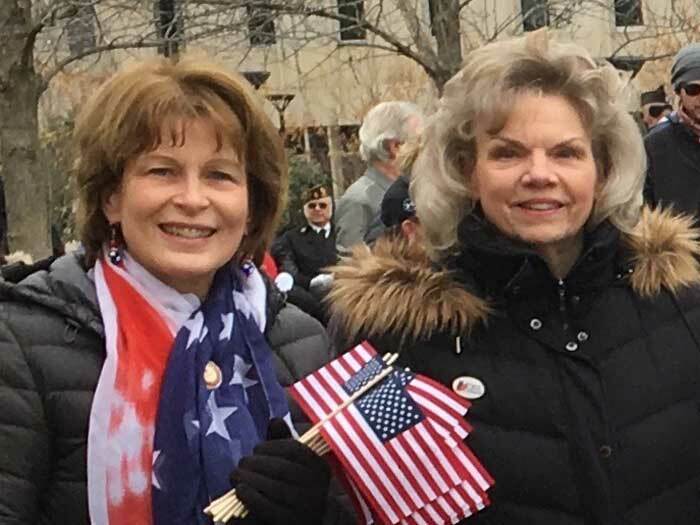 Honorary Chapter Regent Karen Frels, Peoria Riverfront CEO, John Morris, and Cheryl Hopwood attend the opening of the museum’s display: “Celebrate Illinois: 200 Years in the Land of Lincoln”. 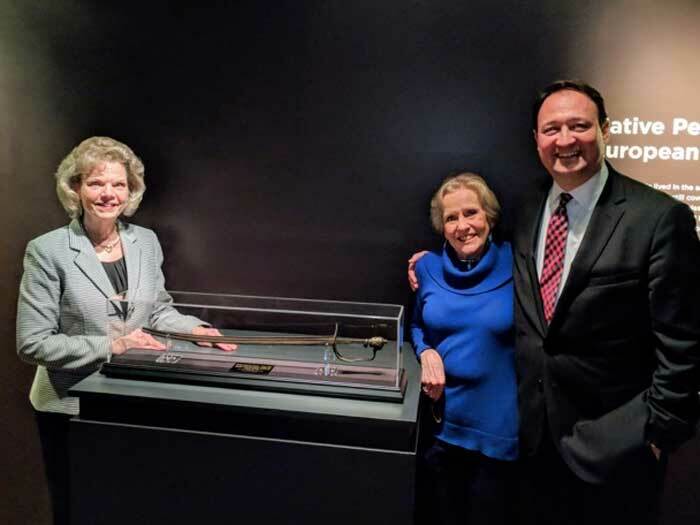 The Peoria Chapter’s Revolutionary War sword was on display, along with the unique stories of the state’s past to present as told through more than 240 historic objects and the narratives of notable Illinoisans. 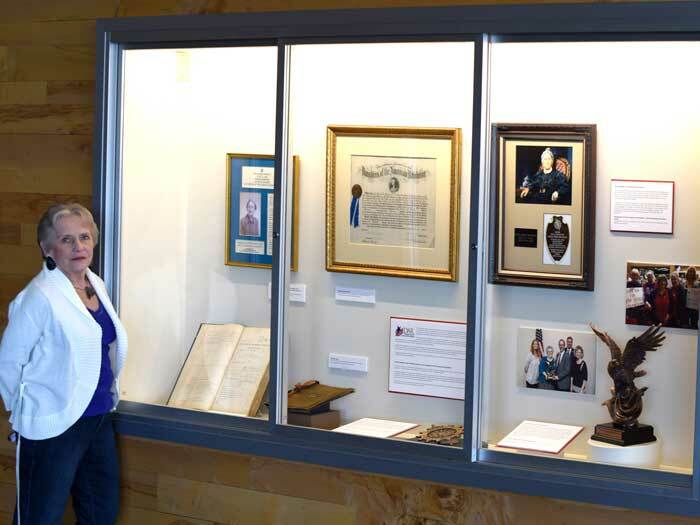 A display case with items depicting Peoria Chapter’s DAR history greeted visitors as they entered the Peoria Riverfront Museum’s main lobby. 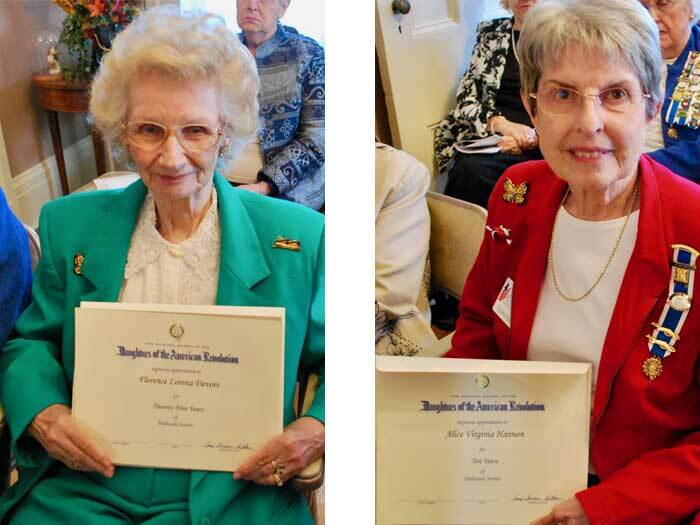 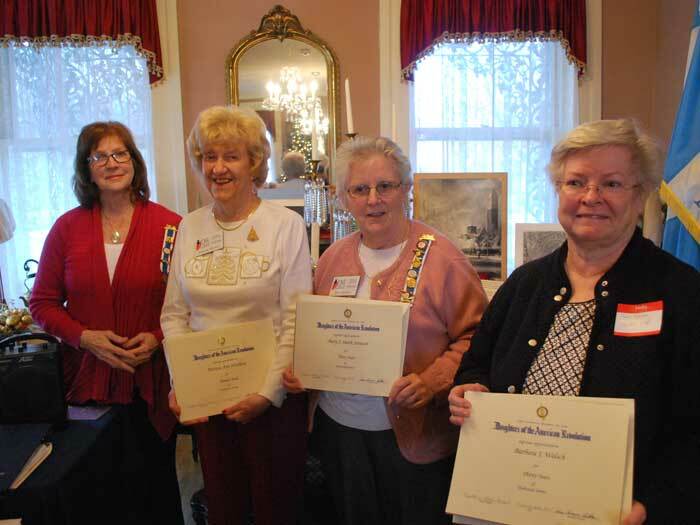 In October and December, Peoria Chapter Regent Cindi Horrie presented chapter memebers with Anniversary Certificates which ranged from 10 years to 30 years of service. 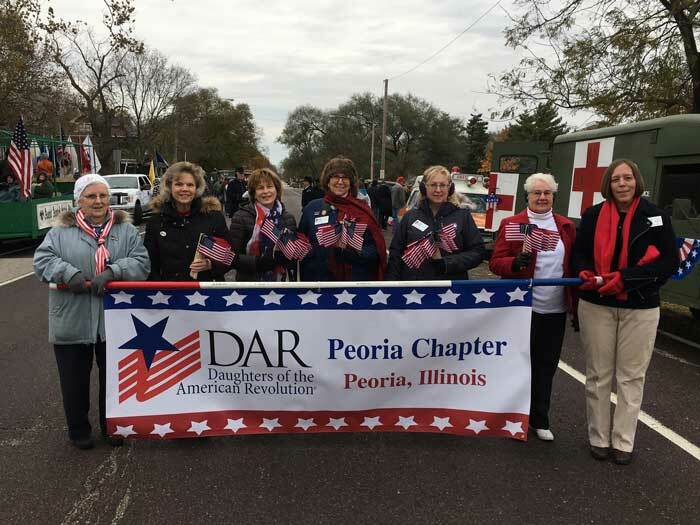 On Veterans Day 2017, Peoria Chapter DAR members marched in the Peoria Veterans’ Day Parade and handed out flags. 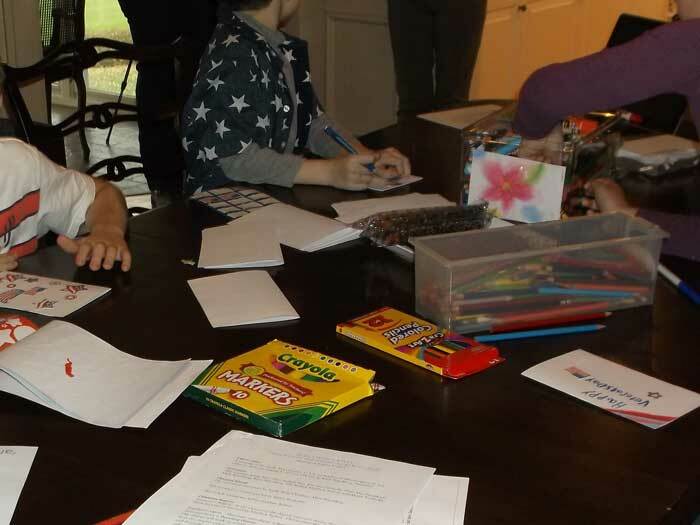 Peoria Chapter Children of the American Revolution gathered to make gift bags filled with homemade cookies and greeting cards thanking the veterans for their service. 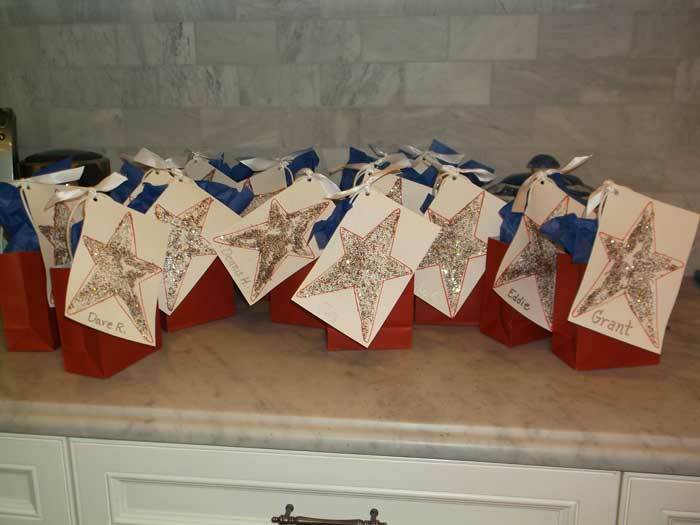 When the project was completed, the children delivered the gift bags to veterans at the Wayne A. 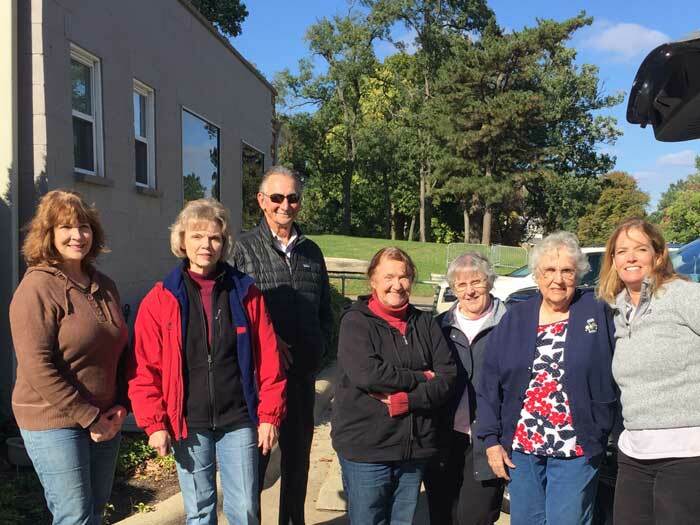 Downing Veterans Home and visited with them. 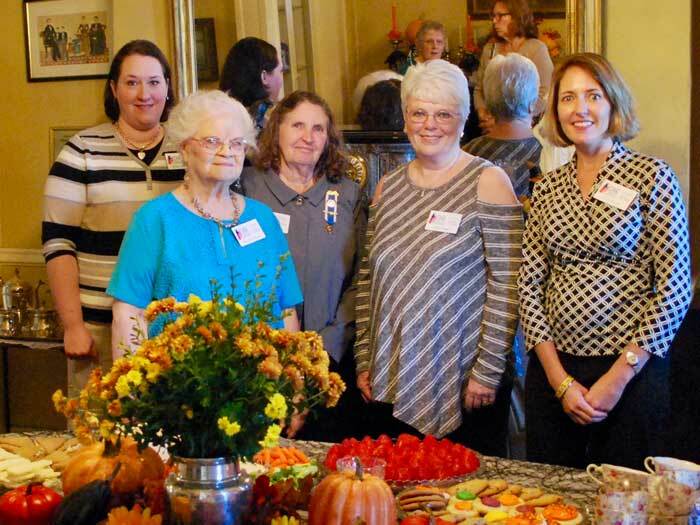 On October 17, 2017, the chapter hosted a luncheon for State Regent Gloria Flathom. 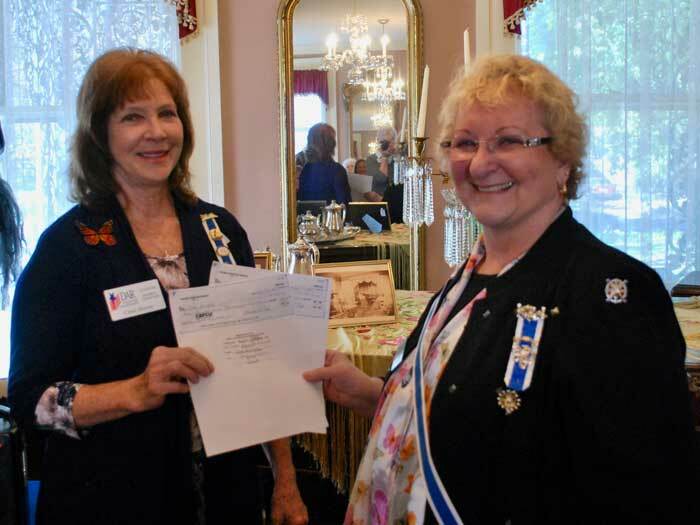 Regent Cindi Horrie presented Madam State Regent Gloria Flathom with a check from the Peoria Chapter for her project. 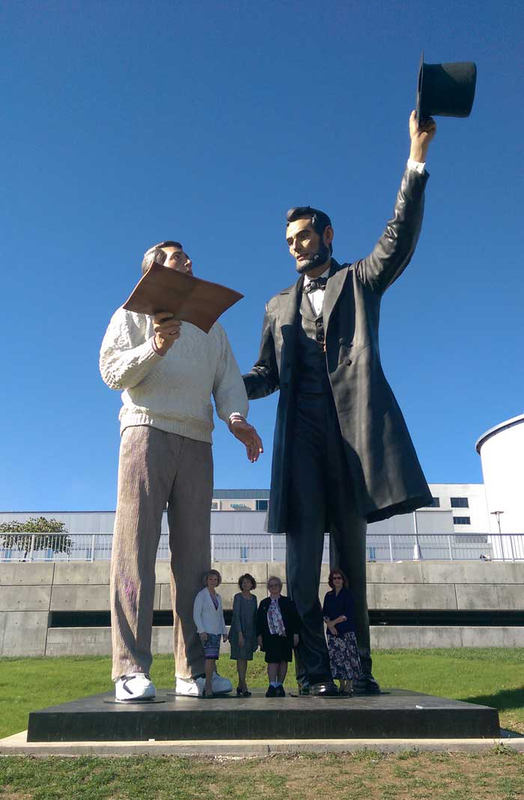 Chapter members and Madam State Regent with Abe Lincoln and the Common Man in front of the Peoria Riverfront Museum.